What’s all the buzz about Bitcoin? I read in the paper that an Australian real estate agency is accepting Bitcoin for house deposits and advertising payments, and there's now a Bitcoin ATM in the food court at Westfield Sydney. So this Bitcoin thing is going main stream? I guess we better work out exactly what Bitcoin is. Here’s what my research dug up. What is Bitcoin? 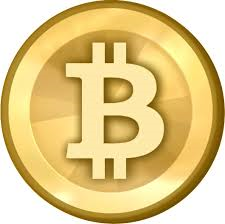 Bitcoin is a virtual currency—sometimes called a crypto currency, digital currency or electronic money. Bitcoins are earned or created (sometimes described as “mining”—see below) through complicated computer processes, and their security is protected by complex mathematical codes. They do not exist physically as notes or coins. People store them in a digital wallet or on a secure hard drive. How are Bitcoins used? There are online exchange platforms where Bitcoins can be bought or sold for real money, and Bitcoins can also be traded for goods and services. Notably, the huge US online retailer Overstock.com now accepts Bitcoin. The currency can be transferred between people without needing a financial institution to mediate the transaction. In fact, the transaction is as fast as sending an email. Currently, most Bitcoin owners are speculators hoping that the currency will gain value over time. How are Bitcoins earned? Most people who earn Bitcoins receive them as a form of payment. A growing number of online shops, traders, gambling sites (and real estate agencies!) accept them. Another way to earn Bitcoins is to create them through a process known as “mining.” It sounds like a licence to print money, right? In fact, Bitcoin mining is an expensive business that requires expert computing knowledge, very expensive hardware and a lot of electricity. If you’d like to know more about it, this website has a great summary. Where do Bitcoins fit in the real economy? The tax man and law enforcers have obvious concerns about Bitcoin. In 2013, online market Silk Road was closed down by US law enforcers who claimed that it was a Bitcoin-based market for illegal drugs. (Bitcoin owners can remain anonymous, you see.) But, as I’ve already mentioned, main stream businesses are beginning to accept Bitcoins, too. A villa in Bali was purchased last year in Bitcoins valued at around $500,000. Theoretically, income and receipts earned in Bitcoins is taxable, just like dollars. But it’s kind of hard to tax someone who’s anonymous. That’s one of the reasons why Bitcoin is a headache for the government. What are the risks? Bitcoin is an unregulated currency, which means that its value and exchange processes are not controlled by an independent authority. It relies on peer-to-peer systems that nobody in particular owns or is accountable for. Security is the most noteworthy risk. Since 2010, over $500 million in Bitcoins has been stolen by sophisticated hackers, and because ownership is anonymous, the thefts cannot be traced or recovered. It’s suggested the one in every 16 or 17 Bitcoins is owned by someone who stole it. It sounds interesting, but I think I’ll be sticking with real money in my real purse for the time being. What about you? What do you think about virtual currencies?